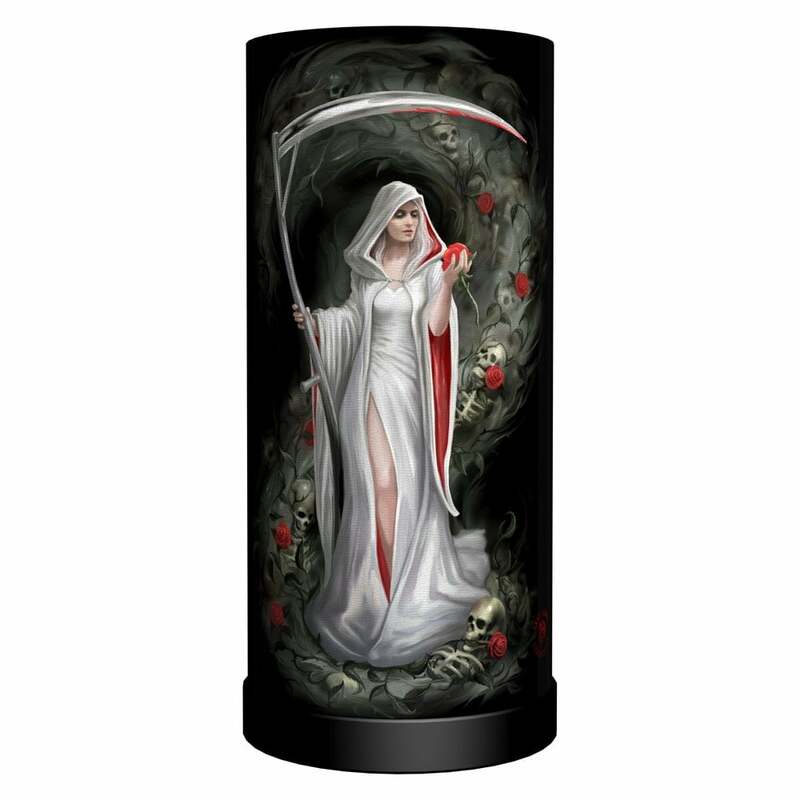 Anne Stokes Table Lamp featuring the Life Blood design. A "light" reaper - a white haired lady in a white robe with red lining split to the thigh holding a scythe with a light coloured handle and blood on the blade. She has a red rose with a green stem in her other hand and is superimposed on a design of a vortex with partial skeletons with red roses with green stems between their jaws and wrapped around their ribs.